Barrack Obama was in no way prepared to become President of the United States of America. In his confrontations with Putin over the Ukraine and over Syria, among many other things, he demonstrated that fact. However, this is not the first time an American President has shown no backbone, faltered and made serious mistakes with a Russian leader. In the last century there was another Democrat President who was unprepared for his duties; whose inexperience and liberal mind set caused him to make serious errors in judgments and those errors set up a confrontation that might have caused a nuclear war. No I am not referring to James E. Carter; I am referring to John F. Kennedy. Let’s do some comparisons between Kennedy and Obama. 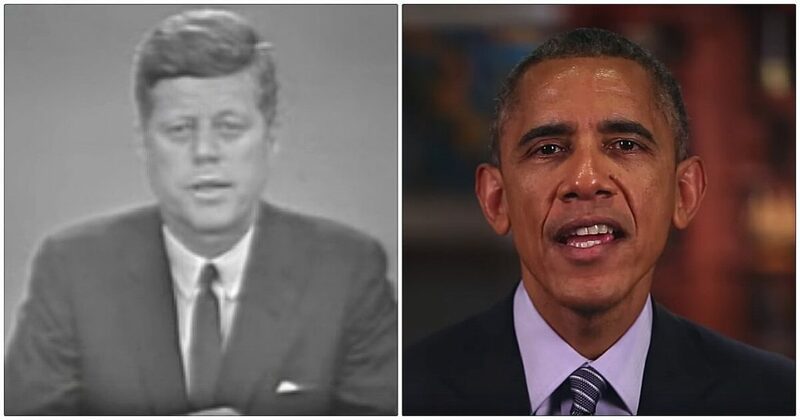 There are some comparisons one can make between Kennedy and Obama; there are others that can’t. • Kennedy was unusually ill prepared to become President. • At the time of his election, Kennedy was a political dilettante who had, shall we say, many interesting outside interests most of them having nothing to do with politics. • It is now clear Obama was a political dilettante, startlingly unprepared to assume the Presidency, who after his election arrogantly disregarded Congress and often the will of the American people, whose political ambitions lay in areas that were designed to subvert traditional American politics. Both men displayed charisma; they came over well in speeches and on television. Both men demonstrated an innate ability to sell themselves to the public. Both men were articulate and had the ability to make people like them. But my God, why do we elect Presidents because they have the same talents required of a late night talk show host? Have we completely disregarded the need fora resume of past successes, for knowhow and a record of past achievements for our presidents? • John Kennedy was born, raised and grounded as an American. • Barrack Obama was not. • John Kennedy volunteered to join the U.S. Navy during war time and served with distinction. • Barrack Obama never served in the U.S. Military. • John Kennedy served in combat in World War II where he was decorated for his heroism. • Barrack Obama knew nothing about being in our military or being involved in a combat situation. So why do I say John Kennedy’s ill preparedness as President came close to getting us involved in a war with Russia? Well there was a plethora of highly classified information that was made public after the Soviet Union collapsed; its classified records were made public and open to research by governments, historians and the media. Remember, although the following quotes are confirmed and are on record, most Americans have never heard of them. When Kennedy was elected President, Nikita Khrushchev was the leader of the Soviet Union (Russia). After he was elected, Kennedy strove to have a meeting with Khrushchev because Kennedy was of the opinion he could sweet talk Khrushchev around and perhaps prevent a nuclear conflict by miscalculation, then continue through his personal abilities and intellect to solve most of the problems between the two countries, typical mind set of an inexperienced man of liberal persuasion. Khrushchev was also interested in meeting Kennedy because after Kennedy’s “Bay of Pigs” fiasco, he wanted to size him up in person, see how tough Kennedy was in a one on one situation where he could test him. Kennedy was about to receive a sobering education. I will be quoting from John Kagan’s book, “On the Origins of War.” The reason for that is Mr. Kagan is one of the best authority’s on military/political history I have read and he lays out very well the information on this subject I am interested in providing.. So let’s get started. As just a taster, I will start off with what Khrushchev thought of Kennedy after their first meeting in Vienna. The meeting both Kennedy and Khrushchev wanted took place in Vienna, shortly after the “Bay of Pigs” disaster. Here is a statement, verified by historical published records, and made by Khrushchev to his people after that first meeting. RLH-It is difficult to believe an American President would show so much weakness and ignorance. But as the record shows, Kennedy did. They say first impressions are important. From their first meeting on, Khrushchev believed Kennedy was a push over. That belief almost had cataclysmic results. RLH-We have two Democrat Presidents, decades apart but both having no idea how a tough American President deals with threating adversaries. In both cases the American public was ill served by our so called media. We never heard anything about the reality of the Kennedy/Khrushchev confrontations until years later after Kennedy’s death. However, Kennedy’s performance at that meeting in Vienna was well known in Washington by politicians and the media. All we heard from the elite media in Kennedy’s first years in office was, aren’t things lovely in Camelot and aren’t we lucky to have Jackie and Johnny in the White House. RLH-We never would have heard anything about Obama’s treacherous whining to Medvedev, if it hadn’t been for that open mike, because we sure as hell didn’t hear much about Obama’s career policy of disinformation, misinformation, half-truths and dammed lies during his presidency from our corrupt media. RLH=Kennedy’s meeting with Khrushchev in Vienna was just the start of his showing weakness to the Russian leader. There were even more dangerous situations coming up. RLH-I am only going into two areas of the Kennedy/Khrushchev confrontations in this essay. They will be the “Bay of Pigs” tragedy and the “Berlin Wall” catastrophe. . So this essay will be on Kennedy’s performance as President in; The Bay of Pigs, and The Berlin Wall. Just trying to bring some clarity and truth to the Kennedy legend and the similarity of Obama’s and Kennedy’s dangerous Presidency’s. The “Cuban Missile Crisis” deserves its own work and will come later. RLH-The sole intent here is to show why American Presidents must be strong, formidable and confident, know who their adversaries are, what they stand for and what those adversary’s political goals are. Then our President’s must absolutely have the desire, knowledge, strength and courage to challenge and overcome threats made by those they come up against in order to maintain American’s and the free world’s definition of what constitutes Western freedom,, our culture and civilization. As we will record Kennedy initially didn’t understand those responsibilities and as we have seen Obama operated under a different agenda. Thank God we now have a president, Donald Trump, who has the attitudes and beliefs that an American president needs and is not afraid to use them. RLH-Then Khrushchev embarked on a strategy of bluff to try and achieve his political goals. It was known in the U.S. as the “missile gap.” Khrushchev’s bluff was his knowledge the U.S. didn’t know about the Soviet shortcomings, in other words we didn’t know that the Russian’s didn’t have the technology to target those missiles. RLH-The most important target of Khrushchev’s bluff strategy was Germany and especially Berlin. Kagan: “In November 1958, therefore, Khrushchev tried to use his putative (supposed) advantage in nuclear missiles to force a German solution. Unlike previous demands and threats, this one took the form of an ultimatum, promising to turn over control of the routes of access to Berlin, including those in the air to the East German government. Soviet Foreign Minister Andrei Gromyko rattled the Soviet missiles, warning that in an outbreak of war over Berlin, modern military technology guaranteed that the horrors of war would inevitably spread to the continent of America. Khrushchev was attempting to run a total bluff. He had rockets that could orbit a satellite, but were worthless militarily because those rockets couldn’t accurately target the U.S.
RLH-In other words, the old General told Khrushchev to stick his threats up one of his larger orifices. Keep Eisenhower’s strong and tough response to Khrushchev’s demands in mind as we now go into Kennedy’s performance in the first years of his term in office. RLH-In late 1958 Fidel Castro and his forces were in position to topple Fulgencio Batista the President of Cuba. Batista then fled Cuba on New Year’s Day, 1959. Castro now controlled Cuba. In February 1960 the first steps by the Soviet Union to bring Cuba into its orbit took place. The game was on. RLH- Those comments are pretty much an exact description of Obama’s U.S. Senate career. RLH-Kennedy’s comments remind me of Obama’s attack on Bush for fighting the wrong war in Iraq. Obama was adamant that the right war was in Afghanistan not Iraq. After Obama’s election, we saw how much baloney he was selling then. Kagan: “Kennedy did not like the plan because it was “too spectacular” and would “put us in so openly, in view of the world situation.” To meet his objections the CIA framed a compromise plan. The landing would be at the Bay of Pigs, west of Trinidad. At Kennedy’s further request the “noise level” was reduced by a decision to make the landings at night. RLH-A night amphibious landing increases the SNAFU possibilities by a factor of 10, example there were no night landings in WW-II. Not in North Africa, not in Sicily, not in the invasion of Normandy and not on any island the Marines landed on in the Pacific. 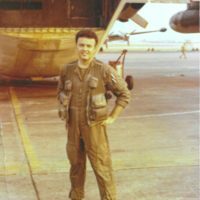 RLH-The original plan was that those B-26’s were to be flow from Guatemala, which was much closer to their combat objectives in Cuba, Kennedy moved the airplanes starting points from Guatemala to Nicaragua, why? Flying from Nicaragua gave the bombers much less time over target and crippled effective air support. RLH-Khrushchev is also on record as saying to his cabinet he could not believe that one of the most powerful countries in the world would allow a tiny, weak country like Cuba to embarrass them to the world and still take no action to crush Cuba. RLH-President Kennedy’s weakness, lack of resolve and betrayal of so many Cuban’s, made the United States appear weak to the world and especially to the Soviet Union. His unforgivable decisions at the “Bay of Pigs” caused the death not only of the plan to remove Castro, but of far too many brave Cuban men who deserved far better; men who died or were captured by Castro; does Kennedy’s performance then, remind anyone of Obama’ performance in Libya, Egypt, Syria, Iran, the Ukraine? The “Bay of Pigs” disaster was on President Kennedy like “BenghazI” was on President Obama. RLH-By 1961, the contrast between what was taking place in the Russian controlled zones, East Germany and East Berlin, and what was taking place in the West was startling. The Russian zone was still controlled by Marxist/Communist/Socialist economic theories the same theories that eventually bankrupted the old Soviet Union. Those theories have failed everywhere they’ve been tried, maybe Obama should have read a little economic history. Oh that’s right he was still trying to “Fundamentally Transform America” into a European Socialist country. His international and economic policies worked out about as well as Obama Care. RLH-in the 1960’s West Germany and especially West Berlin were thriving with a capitalist economy, new building construction, retail goods proliferated, food stuffs available everywhere, new German automobiles on sale. The words used to describe what was taking place there were: “The German Economic Miracle” which saw economic growth there, in the late 1960’s, reach an amazing 8% a year at one time. The West German Deutsch Mark became a valuable currency. In contrast, East Berlin and Russian controlled East Germany were still desolate. Drab buildings, much war damage still not repaired long lines for inferior food stuffs, long lines to purchase almost anything on those rare occasions when anything was available, trying to purchase an automobile was a joke, they weren’t available, and the East German Reich Mark was a currency worth almost nothing outside East Germany. By 1961, the Communist leader of East Germany, the puppet, Walter Ulbricht, was in a panic mode. Not only was he hemorrhaging millions of his population, but most of the people he was losing, were the cream of his population; Engineers, doctors, professors, lawyers and far too many University students. The Soviet Union, under Khrushchev, considered East Germany, the most important satellite country under its control. The Soviets knew from experience during the World War II, that Germany had put together the most advanced industrial, technological and engineering base in the world during those years. It was the German technological/engineering people the Soviets had captured and sent to Russia that had constructed their space/rocket/missile programs, it was those same people who were putting together their jet propelled military aircraft programs. The Russian’s would have been far behind the West without German input in those areas. For their own reasons, Khrushchev and Ulbricht had to stop the brain drain. It had become more that just embarrassing to them, for the world to see the deluge of German’s leaving their East German “worker’s paradise” for “evil capitalistic” West Germany and the Western Powers zones. Berlin was the big problem, so long as there was an escape hatch through East Berlin to West Berlin and then on to West Germany, that problem would continue. In 1961 Khrushchev and Ulbricht decided to slam down the escape hatch..
Never before in modern history had a regime locked up its own population. From then on, any East German who wished to leave East Germany was risking his or her life. Over the years, at least 136 people died making that attempt. The question was, were the Western Powers going to allow Khrushchev to abrogate written international agreements and get away with sealing off East Berlin? Was President Kennedy, the leader of the most powerful country in the world, going to show strong leadership, stand up to Khrushchev and demand the Soviets comply with agreements they had previously signed? After his performance at the Bay of Pigs, many had doubts, including Khrushchev. RLH-The good news was Kennedy was starting to realize what game he was in and how it had to be played. The bad news was that Kennedy was still not ready to act in Berlin. President Kennedy’s state of mind over the situation in Berlin was not where it should have been. He didn’t seem to want to realize that every time a countries leadership backs down from a tyrant, the tyrant is never satisfied they always see the backing down as weakness and will push for more. History has proven those rules time and time again. However, inexperience, confusion, weakness, pressure, and bad advice will often overcome common sense and historical truths. Will some people now understand why President Trump is so involved with the North Korea situation and why he takes the tough and threatening positions he takes? So where was Kennedys mind in 1961? Kagan: (Kennedy) “It seems silly for us to be facing an atomic war over a treaty preserving Berlin as the future capital of a reunited Germany when all of us know that Germany will probably never be united.” RLH -Really! RLH-With Kennedy’s “Perhaps build a wall” comment it is clear he had already acquiesced, in his mind, to a wall being built to separate Berlin in violation of international agreements. Kennedy had already chosen to let Khrushchev get away with it. RLH-Kennedy felt he had to allow Khrushchev to pressure him over Berlin because he was fearful that Khrushchev would initiate a war there, due to the humiliation Soviets were experiencing in Berlin. Kagan: “The only response from Washington was a statement that “the violations of existing agreements will be the subject of vigorous protests through appropriate channels.” (I guess at that time no one had thought up the Obama’s word “consequences” yet.) Ron..
Kagan: “Wolfgang Leonhard, a former Communist who had been in Moscow during the war and was a charter member of the East German government under Ulbricht after the fall of Berlin (in WW-II). He urged that Western military forces move right up to the “frontier of peace” at once. “He was confident that Khrushchev would retreat, just as Hitler would have done had he been confronted by military force in” (In several confrontations prior to WW-II) Ron..
And so in 1961 we had a young, inexperienced President without any solid background of real political success, other than an election, a President who had allowed his fears to overcome his courage, a President without any international acumen, and because of those deficiencies, he was putting our country in great danger.